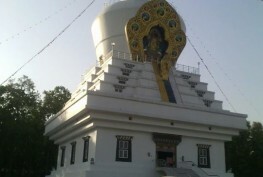 Dehradun has created a special corner in my heart in the recent times. It has been my second visit to this place. This time, it was a pure coincidence. One of our colleagues, who belongs to Dehradun, was getting married and we all were specially invited to the marriage. The time was perfect that gave us all a chance to visit one of the jewels of Dehradun, the Sahastradhara, meaning ‘A thousand fold springs’. The marriage was on Saturday evening and we started for Dehradun on Thursday evening. The arrangements were taken care of perfectly. We were a group of five friends, who work in a software firm in Gurgaon. The bus was scheduled to start from ISBT, Anand Vihar at 9:00 PM in the evening. We all reached the bust stand at about 7:00 PM and had our dinner at a restaurant in the nearby shopping mall. After some casual shopping, it was time for us to board the bus. We reached early in the morning at about 6:00 AM and our friend was already in the bus stop to receive us. He had already lured us all speaking volumes about Dehradun tourism and especially about Sahastradhara. After reaching the hotel that was booked for us, we all freshened up, got ready, and reached our friend’s place. It was a typical Indian wedding environment and we hardly had any job left for us there. We met all the family members and the relatives and after an hour or so, one among us just raised the topic about Sahastradhara. And, suddenly the plan of visiting the place stated to build up. My friend arranged us a cab and we all stared for the place. It took hardly half an hour from my friend’s house to reach, as the place is close to 11 kilometers from the main city. As soon as we left the main city, the scenic beauty of the place started to bloom up. The combination of the hills and the village atmosphere was just mesmerizing. We all were hardly talking to each other. Our eyes were glued to the beauty of the place outside. In no time, we reached the place. We were all prepared to get drench in the waters of Sahastradhara. From a distance, the many lines of water falling at a height appeared as if a bunch showers were put in an array. We all took no time to get ourselves soaked in the chilling water of the springs. 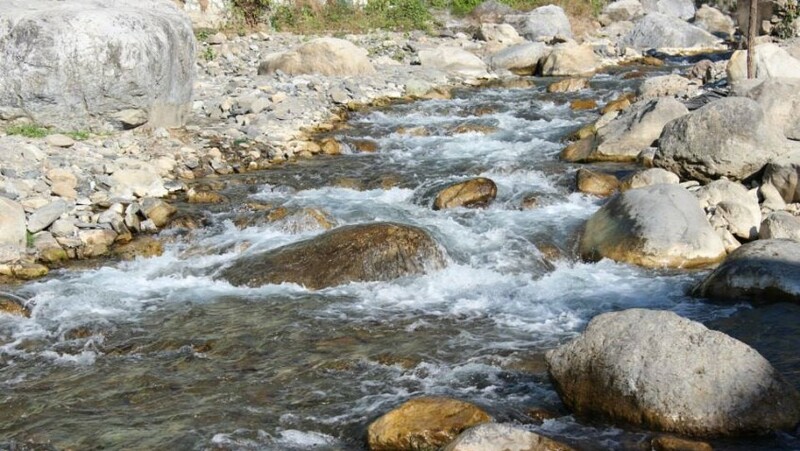 We had heard that the water of Sahastradhara has special medicinal value. The origin of the water flow comes from the limestone stalactites that cascade down the Shivaliks, making the water sulphur-rich and giving it the power to heal several skin diseases. This is why; the visitors call it as ‘Sulphur Springs’. While talking to the locals afterwards, we came to know that many patients, who suffer from some kind of skin diseases, regularly come here to take bath in the medicinal water of Sahastradhara. We spent a good amount of time bathing in the chilling sulphur water. It was really like; the days of tiredness had disappeared in just a dip in this water. It was amazingly rejuvenating – for the body, mind, and soul. And, of course, we spent on a good session taking snaps of ourselves and the beauty of the place. After a complete one and a half hours of dip inside the water, we came out, changed our clothes, and we had started feeling something inside our stomach. So, we all went on to find a good place where we can eat something delicious and enjoy the local delicacies. It took no time to find one, as the place accommodates some good culinary options close by. 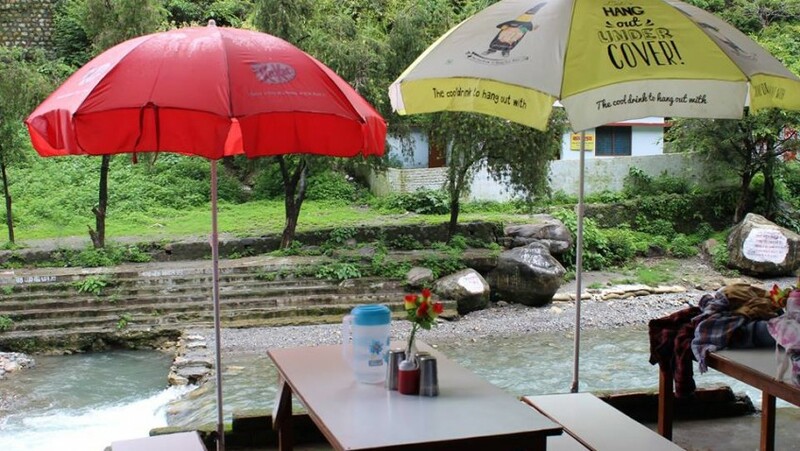 While having our lunch in a hotel there, we got to know from the waiter that there are some excellent caves nearby and a ropeway that takes you to the hilltop. We decided to give the caves visit a miss as it would have consumed a great deal of time and we had to go back to our friend’s house. However, it really makes a great exploration for them, who have come here to enjoy every aspect of their Sahastradhara tour. We certainly went for the ropeway ride. 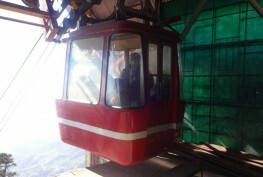 We took the ropeway and reached to the hilltop, where it was just another world, multiplying our energy and enthusiasm by manifold. There is a well-maintained park and a temple. The views of the downtown from the hilltop were amazing. It was truly a pleasant experience and the cool breeze was compelling me to take a deep nap in the lap of the nature. We learned that caves there once had been the place of Guru Dronacharya. 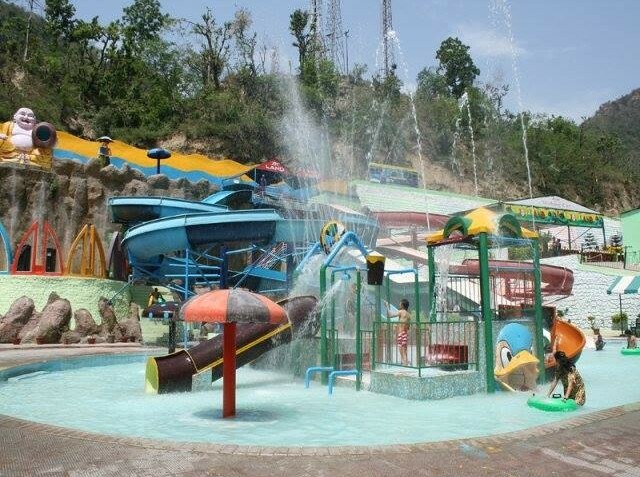 Sahastradhara also houses a manmade water amusement park, named Joyland Water Park that attracts numerous visitors and gives option of fun making for the children. It was a good, close to six hours of endeavor in Sahastradhara and it was time for us to return. However, it was a must to visit the nearby villages that fall on the way, where the locales thrive of steppe farming. We went on to such a site that was depicting a perfect example of steppe farming, the century-old method of farming in hilly and mountainous regions. The hills are cut in the form of steps. The farmers here described how steppe farming solves theirs problems of cultivating in a hilly area and the same time helps in controlling soil erosion. It was really a great learning at the end of the day. All in all, I must say, it was truly refreshing and rejuvenating. Sahastradhara is just amazing. We took a great refreshing bath, enjoyed the beauty from the hilltop, clicked some of the best moments, learned about steppe farming, and gathered a lot of pleasant memories. It really makes a good option for a one-day getaway and enjoy the nature in its pristine beauty. Summer are the best season to get here or otherwise coming between October to March in winter also makes it a good choice, when the water has its natural flow. 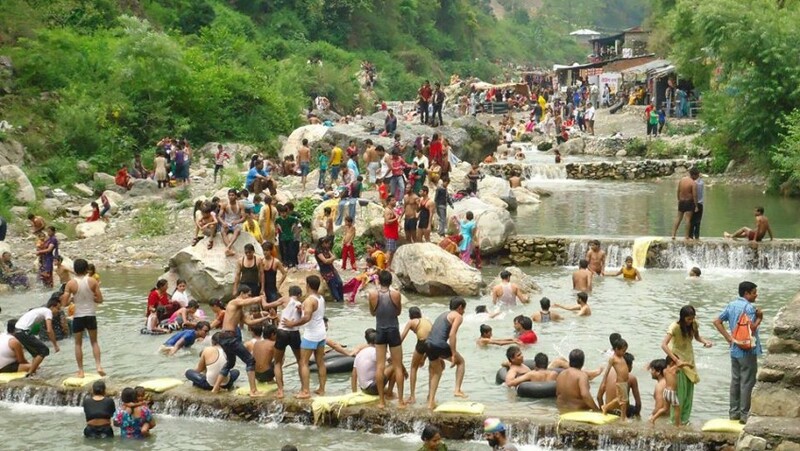 Tourists, who wish to come here, may opt out of the abundant transport options, such as buses, taxi, autos, or cabs available from the Dehradun city to get to Sahastradhara. I would certainly like to relive these moments, again and again.